Can You Go to Jail for Disorderly Conduct in Arizona? Disorderly conduct does not pertain to a single type of action. Instead it may involve different actions that can be generally considered as unruly. Among the more common acts that usually result to a disorderly conduct allegation is arguments and public drunkenness. A disorderly conduct charge should never be taken lightly. After all, without a good defense, you can land in jail. 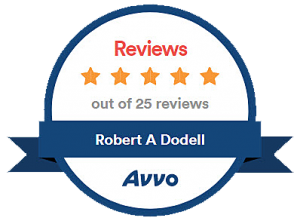 To make sure that all facts are considered and the best possible defense is presented on your behalf, you should have an experienced lawyer like Robert A. Dodell, Attorney At Law, by your side. If you’ve had a little too much to drink, and things get out of hand, you can most likely expect a disorderly conduct charge. Loitering, disturbing the peace, and provoking another person with a threat are also common causes of disorderly conduct accusations. Simply put, any kind of disruptive public behavior may prompt police officers to apprehend you for disorderly conduct. This is why a lot of people think that disorderly conduct is a “catch-all” offense. It’s comprehensive and subject to interpretation. While alcohol is involved in a lot of cases, there are also many non-alcohol related types of disorderly conduct – but there is always disruptive behavior. Examples include public use of obscene language, firing a gun near public roads, and threatening another person in a public place, among others. By public place, it means the general public has access to the place, even if it is a private property. The arresting officer can issue you a citation to appear in court, But the arresting officer can, instead, can take you to the police station and process the disorderly conduct charge. You will be photographed, and your fingerprints will be taken. You will then be brought to a holding cell where you will wait until your paperwork is processed, which may take a few hours. Once it is done, you will be allowed to go home and wait for your court date. You will need to attend your court date. The attorney for the City will seek punishment for your behavior. That will depend on various factors including your prior offenses (if any), severity of the case, and where and with whom the act happened. Disorderly conduct, is a misdemeanor offense, and any conviction for this charge will result in a criminal record, no matter the penalty. Since this is a misdemeanor, you may be meted a bigger fine and even some jail time, which can be up to 6 months. A disorderly conduct charge, at trial, is typically anchored on the judge’s discretion as to whether the behavior fits within the broad definition of disorderly conduct. Disorderly conduct cases can be won at trial. But if convicted, the judge may opt to give you a reduced punishment if it is your first offense. You may only be required to pay a fine or render community service hours, and not be sentenced to jail. Repeat offenders are treated more harshly. The judge will also take your character into consideration, and weigh all the case’s facts. Disorderly conduct shown at a race track or ballpark may bring lighter penalties than when done in a hospital or school. When facing a disorderly conduct charge, it is best that you immediately contact an experienced lawyer like Robert A. Dodell, Attorney At Law. This will help you get the best possible results for your case.